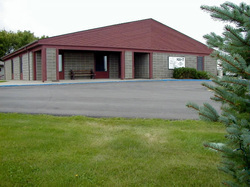 HAV-IT Services is a private, not-for-profit organization in Harvey, ND. Providing support services to people with intellectual disabilities, HAV-IT is licensed by the North Dakota Department of Human Services and accredited by the Council on Quality and Leadership (CQL). HAV-IT Services is a 501(c)(3) federal tax exempt agency eligible for charitable donations. Welcome and thank you for visiting us on the web.